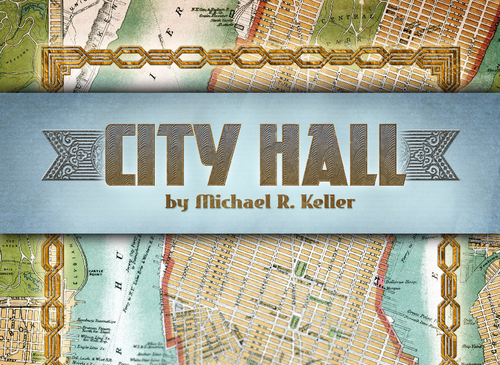 The first project is a double feature: Captains of Industry and City Hall (Tasty Minstrel Games) by Michael R. Keller. Keller is a first time designer but Tasty Minstrel Games are old pros at this Kickstarter thing. This is their 10th(!) project there and they’ve done some really cool games in the recent past, with Dungeon Roll, Eminent Domain and Belfort just to name a few. By now I trust them to both communicate regularly with the backers and to deliver a cool, good looking game. The fact that they offered two economic games in a single package for an excellent price just added more sugar on this already sweet deal. 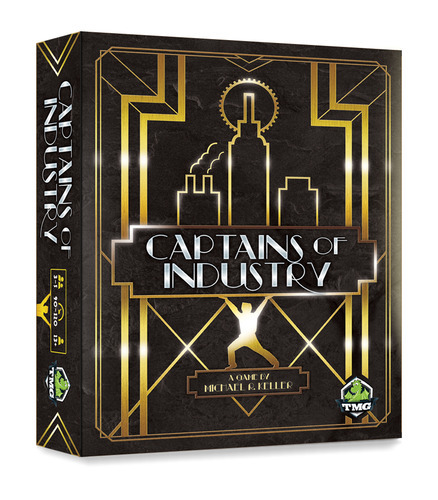 Captains of Industry looks really cool: economic engine game that when the players produce a good, they get to set their price to whatever they want. When a player needs to buy something, they must buy from the lowest price, earning the seller money and market shares (victory points). The thing is, you need to invest your money in real estate as well if you want to have a chance and you also need to keep your hidden goal in mind. Sounds really interesting and right up my alley: I love economic engine games. Looking forward to it. The second title in this double-bill is City Hall. Less of an economic engine game and more of a role selection game, the game sees you as one of the mayoral candidate as you try and gain offices in City Hall. You put the different offices up for bid and take the bid of the highest bidder, or, should none of the offers interest you, keep it for yourself. By carefully selecting what you want and what you’re willing to let go, you attempt to push your approval rating as high as possible. Looks like it has some nice twists on the typical role selection games and it sounds very intriguing. This game had already had a spin on Kickstarter and was pulled due to low interest. At this point in time, it looks like the double-bill aspect is working, as they goal is almost achieved with 28 days to go. 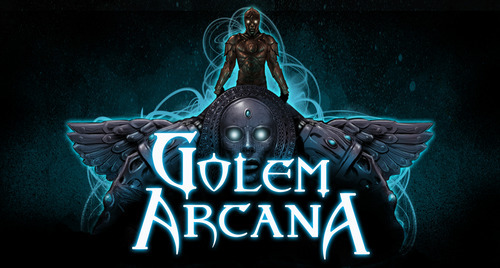 Ok, I have to admit that it was really easy to back Golem Arcana (Harebrained Scheme) by Seth Johnson, Michael Mulvihill and Jordan Weisman. Why? GIANT MINIS and a cool wand. Yup. Another minis games from one of the masters of the genre, Jordan Weisman. And have you had a look at the minis? Take a few seconds to go on the Kickstarter page, go ahead. Huh? cool, no? 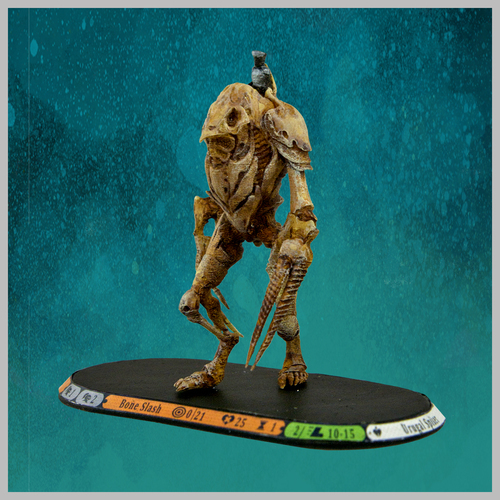 We are talking huge minis, probably as big as the old Shadowrun Duels from Wizkids. Apart from the cool minis, it also comes with this cool looking wand, which is at the core of the Golem Arcana promise: deliver a minis game that you don’t need to read the rules to. Using either a tablet or a computer, pair the wand through bluetooth and simply point at a feature on the map or one of the mini and bam, you got the relevant rules. Want to move or shot? point, click and look at the monitor to see what the results are. It’s a weird concept and I’m not sure if typical minis players will latch on, but I’m very intrigued by this. It could easily be used for hidden movement games, secret objectives or even random events. In a lot of ways, it turns the tablet into the game master. If this works and has legs, I can easily see a “dungeon crawl” version of this. Or even something like it as a remote GM. The minis are cool, but the whole package is quite interesting. Well, that’s it for now. Happy gaming!